While plastic straws are usually made from recyclable plastics, their size and shape make it nearly impossible to recycle. Straws are long and slender, making it difficult to fit through recycle sorter machines. Instead, they end up heading to the landfill or worse. Sometimes, they end-up stuck in small crevices of the machine requiring human intervention to clear. Because of this, many recycling centers refuse to take straws. Our compostable straws are fully biodegradable in commercial compost facilities, bypassing both recycling and the trash heap. Plus composting produces compost for use in farms and gardens, closing the loop to produce more renewable resources. We offer two types of compostable straws. 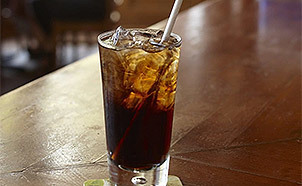 Paper: All paper straws we carry are made from FSC Certified paper, reliable. They come in a variety of colors to match your brand and look. PLA "Plastic": Looks and feels like plastic, but is made with corn-based plastic (Poly Lactic Acid) that is natural and healthy to use. These PLA straws are as lightweight and strong as traditional plastic straws.